View Cart “Anatomy & Yoga” has been added to your cart. SKU: LP67825. Category: Art. 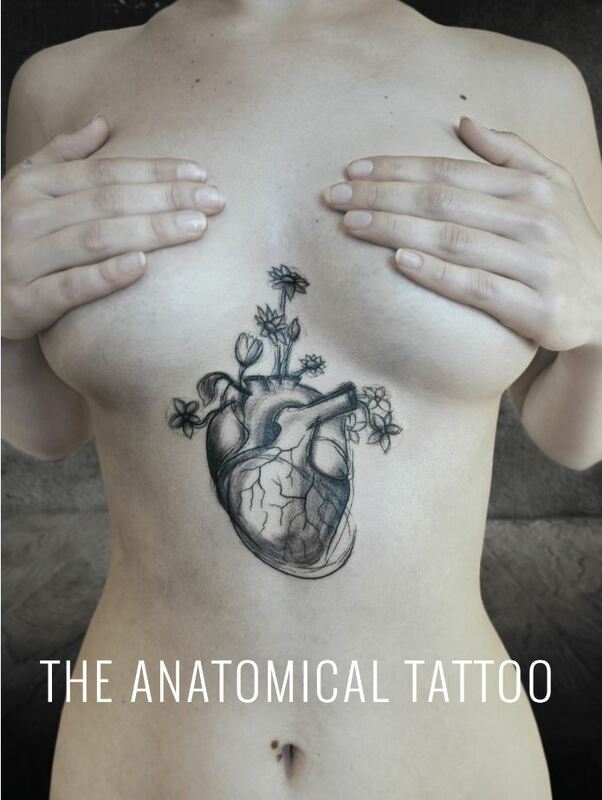 Tags: Anatomy, contemporary interpretations, medical illustrations, tattoos. The Anatomical Tattoo is an introduction to the growing phenomenon of anatomical imagery in tattoos, and highlights some of the best examples in the world today. Illustrating the work of over 80 tattoo artists from across the globe, this book showcases this fascinating new trend by documenting more than 150 anatomical tattoos. From historical anatomical engravings to contemporary interpretations of medical illustration, the breadth of anatomical content and subject matter makes the collection of tattoos in The Anatomical Tattoo as unique as the tattoos themselves. Emily Evans is a senior demonstrator of anatomy at the University of Cambridge. Emily is also a medical illustrator, author and publisher. She runs her businesses Anatomy Boutique and Anatomy Boutique Books from her studio in London. She regularly writes and gives talks about the use of anatomy in contemporary art practice. Emily is also a member of the Anatomical Society and of the Institute of Anatomical Sciences, and is a councilor of the Medical Artists’ Association of Great Britain. Wendy Birch is a forensic anatomist and manages the Anatomy Laboratory at University College London. Wendy holds an MSc in Forensic Archaeological Science and a PhD. and leads the BSc/MSc module on Forensic Osteology and Anthropology at UCL. Wendy is the chairman of the Institute of Anatomical Sciences and a member of the Anatomical Society, the British Association of Clinical Anatomists, the British Institute of Embalmers and the Chartered Society of Forensic Sciences. The Art & Science of Beauty Therapy is an indispensable reference for beauty therapists, providing up to the minute guidance for Level 2 qualifications and including full coverage of Facial Electrical treatments. Inside The Art & Science of Beauty Therapy you will find step-by-step photo sequences and helpful diagrams. There are checklists, key points and topic summaries. You will also find anatomy and physiology for easy understanding. In addition to all of that, there is also included maps learning objectives for core units at Level 2 VRQ.